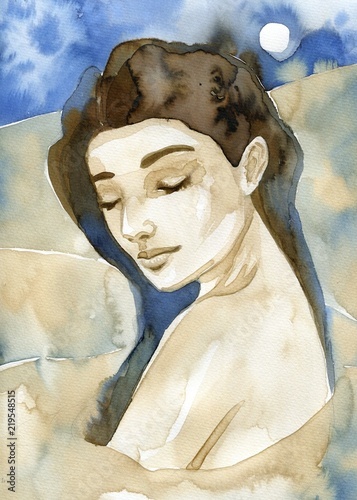 Portrait of a beautiful and sensual woman. 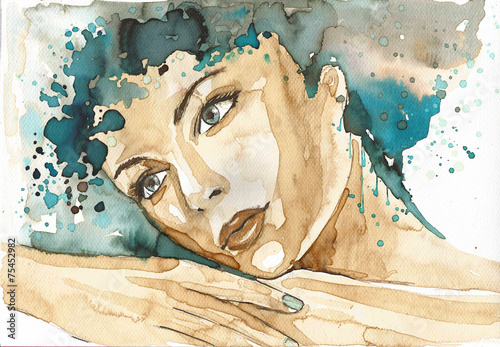 Watecolor portrait of a woman. 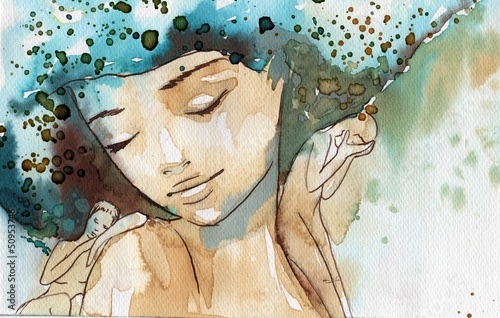 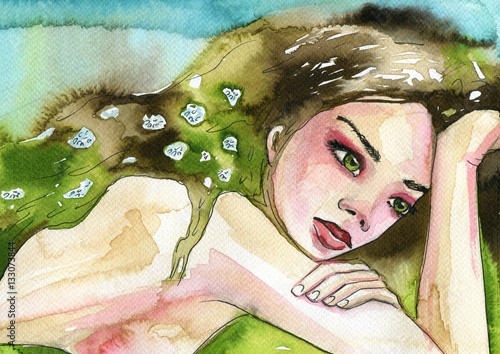 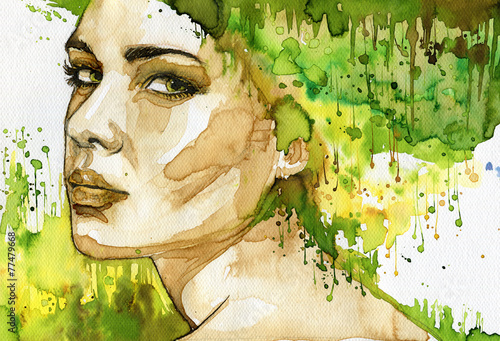 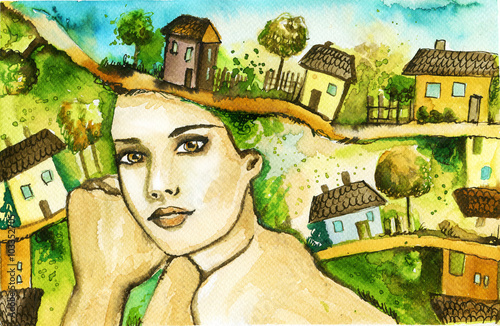 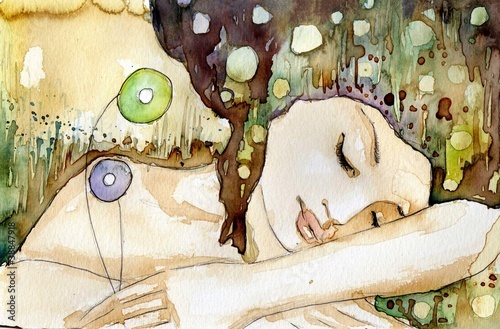 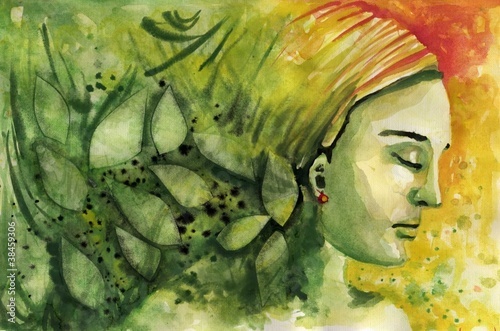 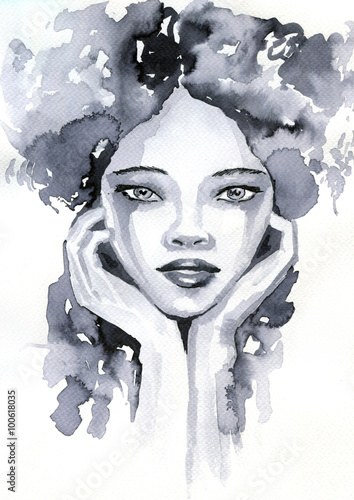 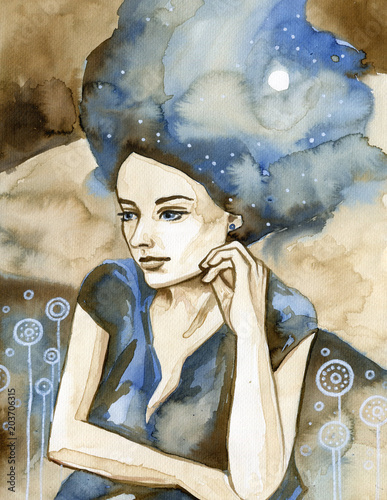 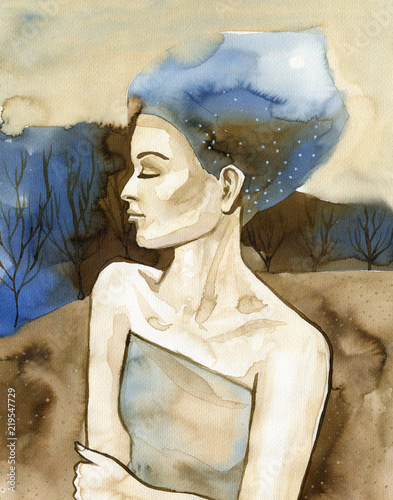 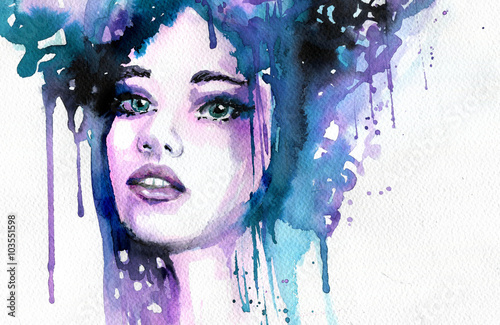 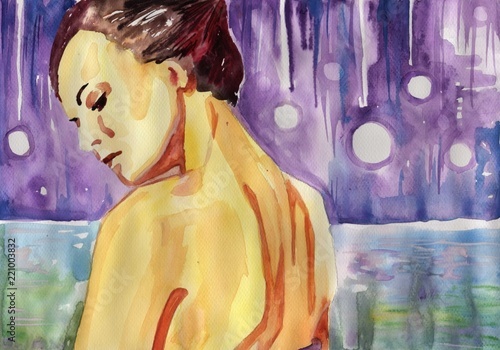 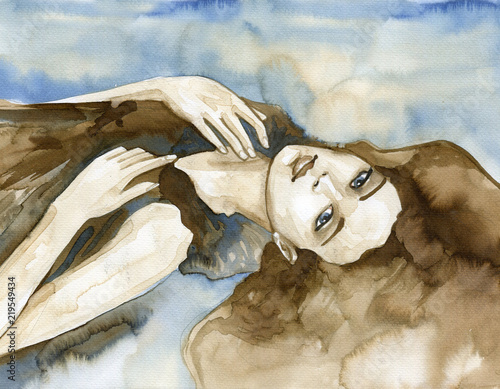 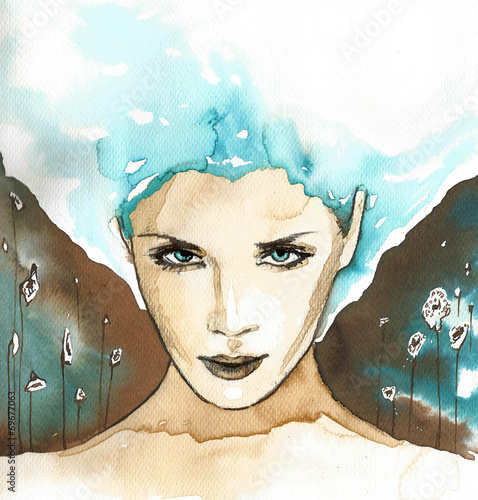 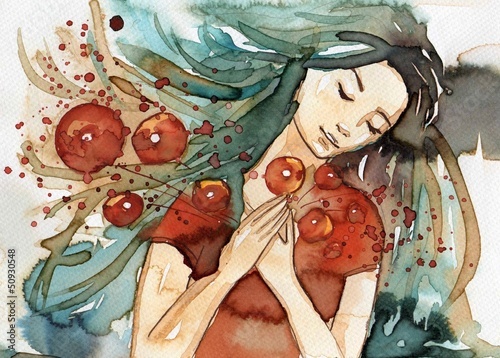 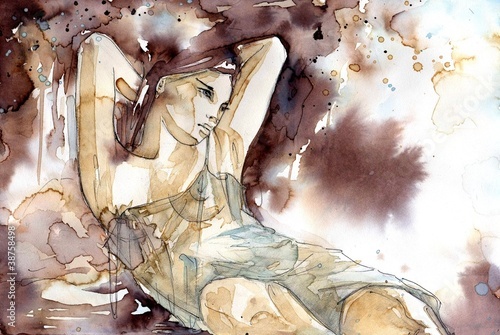 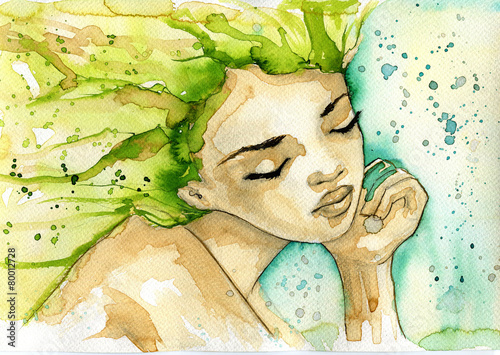 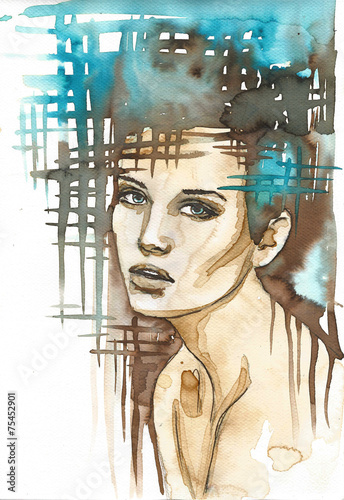 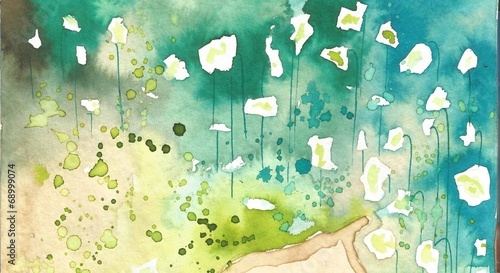 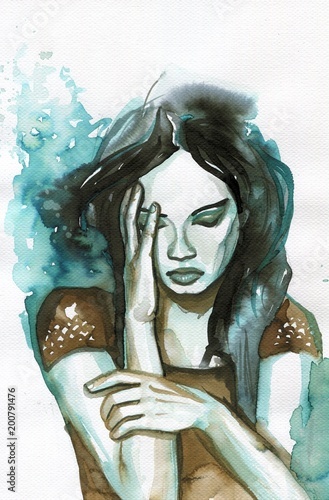 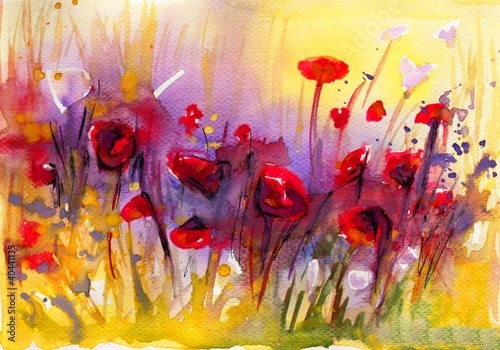 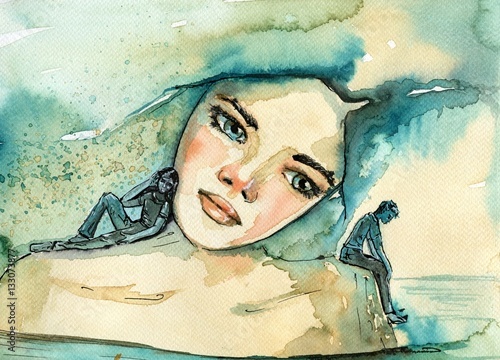 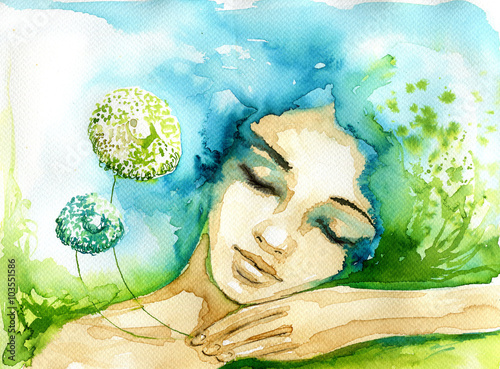 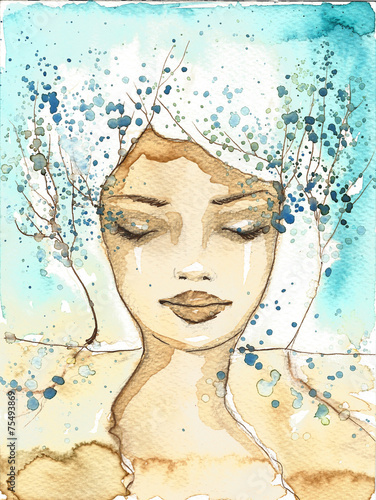 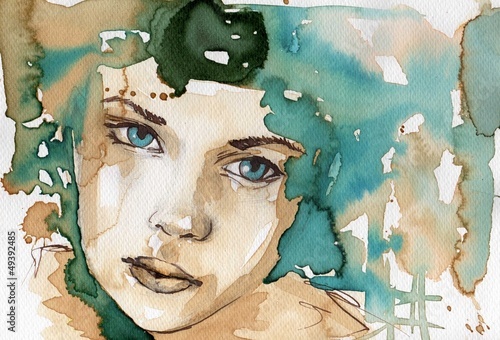 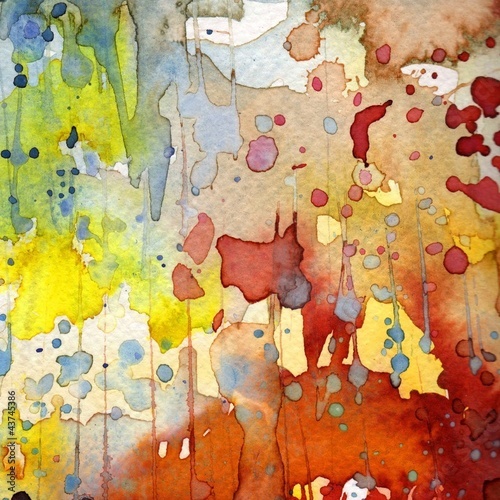 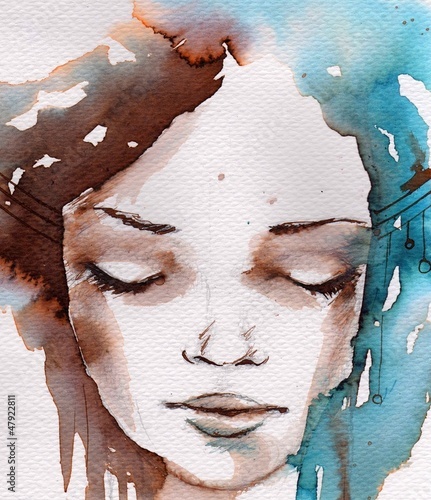 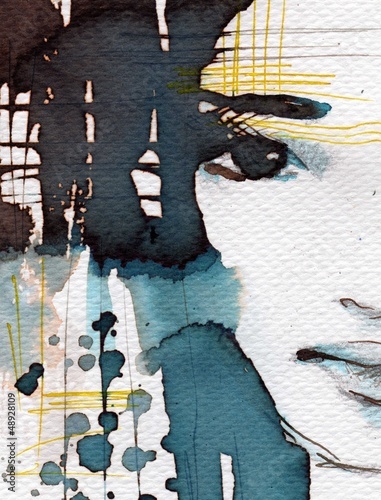 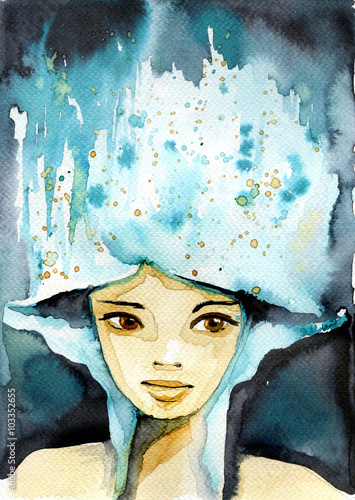 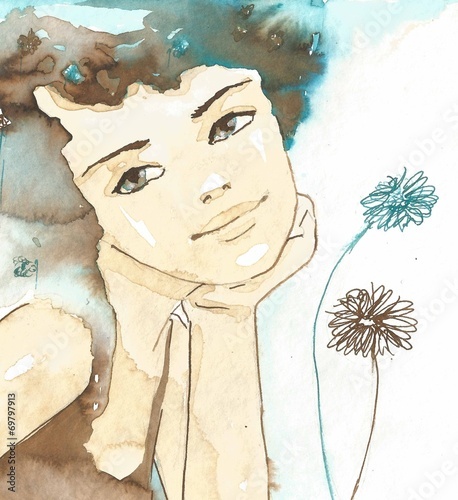 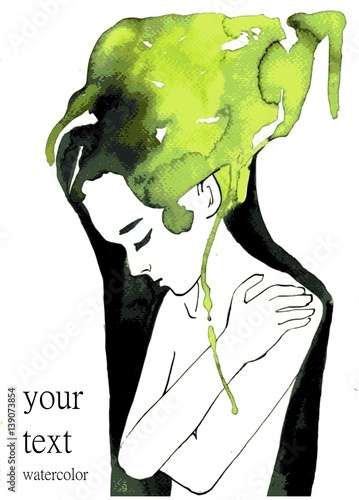 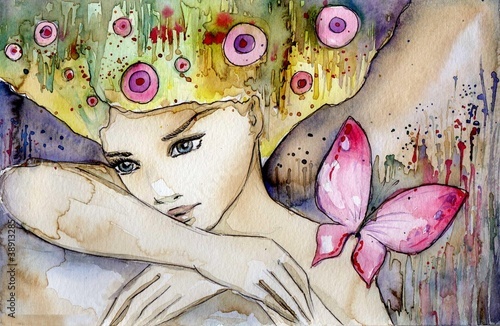 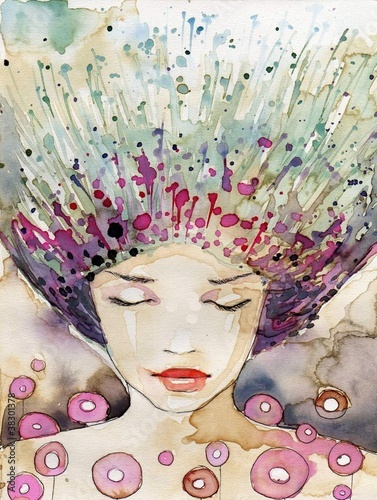 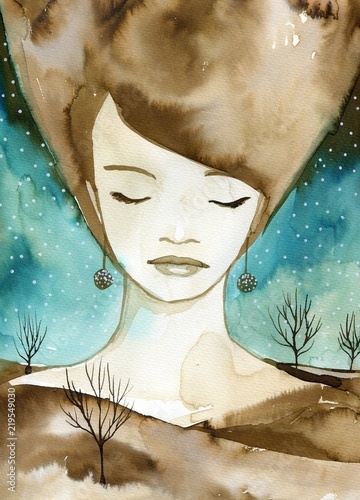 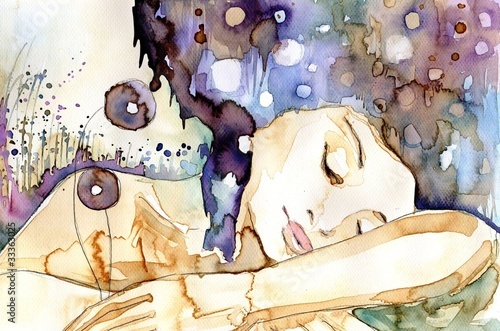 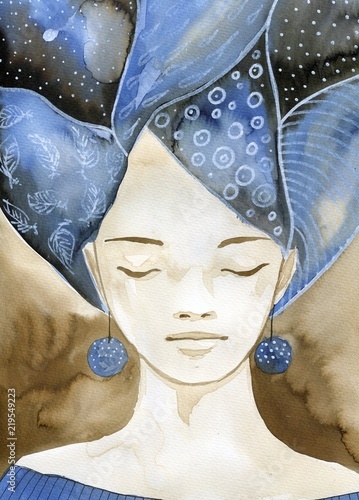 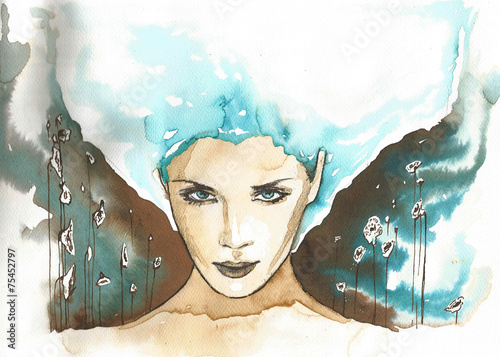 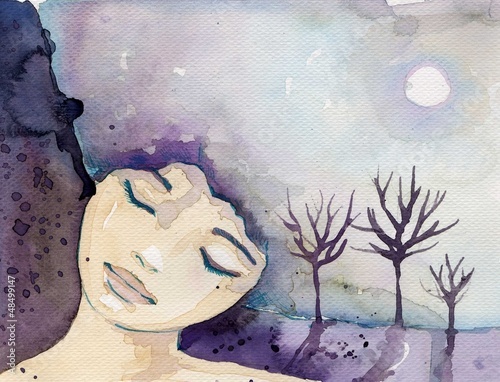 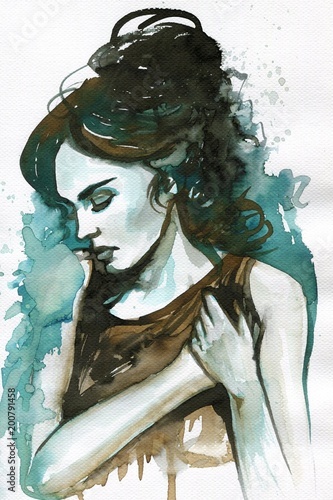 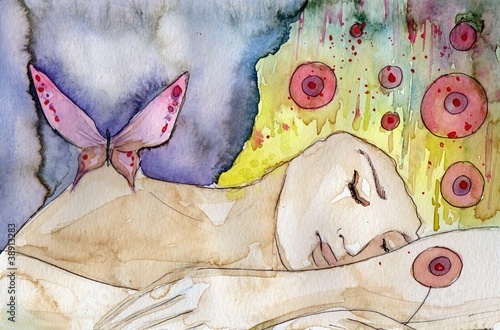 Abstract watercolor illustration depicting a portrait of a woman. 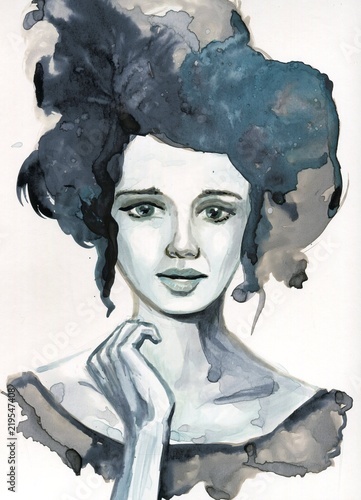 Watercolor illustration depicting a fancy woman's portrait. 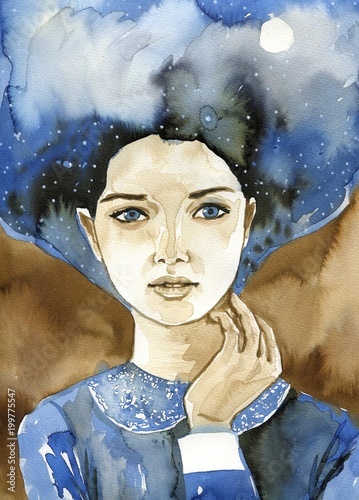 Watercolor portrait of a beautiful woman in blue.